Dubai: Park rangers Sami and Ali will soon no longer need to hike the Wadi Wurayah — an area almost as big as Ajman — to get data from camera traps at the park. The award-winning Wadi Drone can now do it for them in a fraction of cost and time. 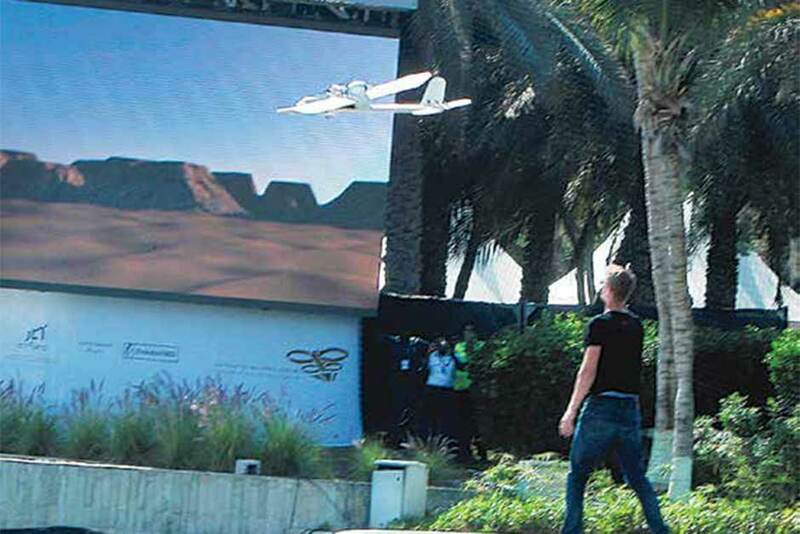 The Wadi Drone won the national category of the first UAE Drones for Good Award on Saturday. His Highness Shaikh Mohammad Bin Rashid Al Maktoum, Vice-President and Prime Minister of the UAE and Ruler of Dubai, presented the award to the winners on Saturday. Shaikh Hamdan Bin Mohammad Bin Rashid Al Maktoum, Crown Prince of Dubai, Shaikh Mansour Bin Zayed Al Nahyan, Deputy Prime Minister and Minister of Presidential Affairs and Mohammad Abdullah Al Gergawi, UAE Minister of Cabinet Affairs were present at the event. 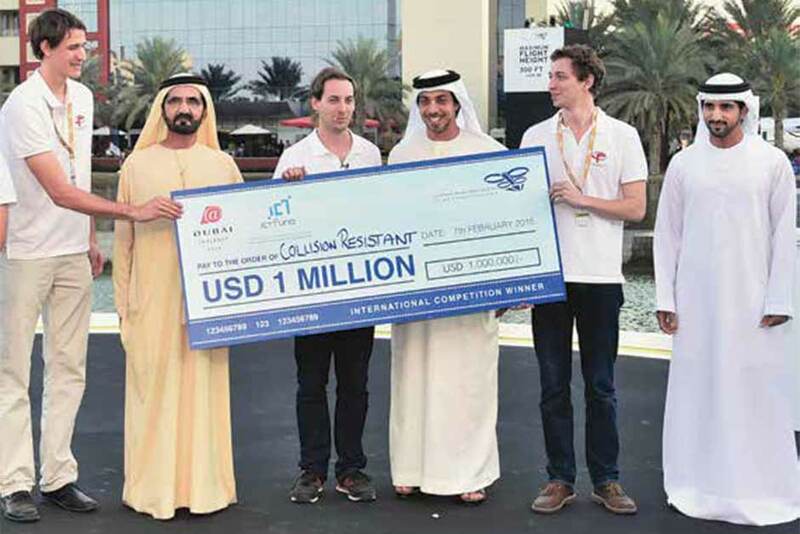 Four students and two faculty from the New York University (NYU) Abu Dhabi led by Matt Karau and Martin Slosarik worked on the Wadi Drone, giving them a cash prize of Dh1 million. The 2.2-kg drone can fly for up to 40km around the Wadi Wurayah National Park, the UAE’s first mountain protected national park. The drone collects data from 120 camera traps that capture images of wild animals at the park. So far, the camera traps have taken images of Blandford fox, Gordon’s wildcat, hedgehogs, Caracal lynx and goats. The park rangers and conservationists so far has identified and listed 860 species in the national park since 2009. Of these, there are 208 plants, 19 mammals, 17 reptiles, 3 fishes, 2 amphibians, and 94 birds, while the rest are invertebrates. The Wadi Drone does this by hovering over the 212-square-kilometre park to collect the data from the air. This will eliminate the need for Sami and Ali to hike up the park to manually get the data, which eliminates a lot of dangers and saves on costs. “The time it takes for us to hike Wadi Wurayah National Park is two days but it will just be a matter of a few hours for the drone,” Sami Ullah Majeed, 26, park ranger, told Gulf News. During the hikes, the two park rangers from Pakistan and Uganda are exposed to extreme weather conditions like temperatures ranging 47 degrees Celsius during peak of summer, dehydration. Among other things. “[With the drone], danger is reduced, no dehydration, no risks of falling off cliffs, nor encountering poachers. So many dangers are reduced dramatically so we can focus on other things like conserving nature, doing more research, and making the camera traps more effective,” Majeed said. The 2.2kg-Wadi Drone has a flight duration of up to 1.5 hours and can collect all kinds of data including salinity and atmospheric data around the park. Twice a year, the park spends Dh1 million to collect the data but with the drone, it can now be done monthly for one-tenth the cost. At present, it has collected 380 camera trap photos of animals, including hard-to-find ones, at the park. The Wadi Drone will be optimised over the next three months and will be deployed within nine months. “Conservation is an important aspect of life. We need to conserve nature because that’s what makes us humans. We have to conserve nature for the future,” Sami said. For the international category, the world’s first Collision-Resistant drone by Swiss company, Flyability, won the first prize of $1 million (Dh3.67 million). The 400-gram drone can be deployed in hard-to-reach places during fires and disasters, which are usually done by search and rescue officials that could endanger their lives. Etisalat’s drone won in the government category. The drone can fly to areas such as desert and mountains that have very low signal and increase it right there and there. The winners were chosen from 800 entries from 57 countries. The winning drones need to be deployable within the next two years.